Are you ready for this? 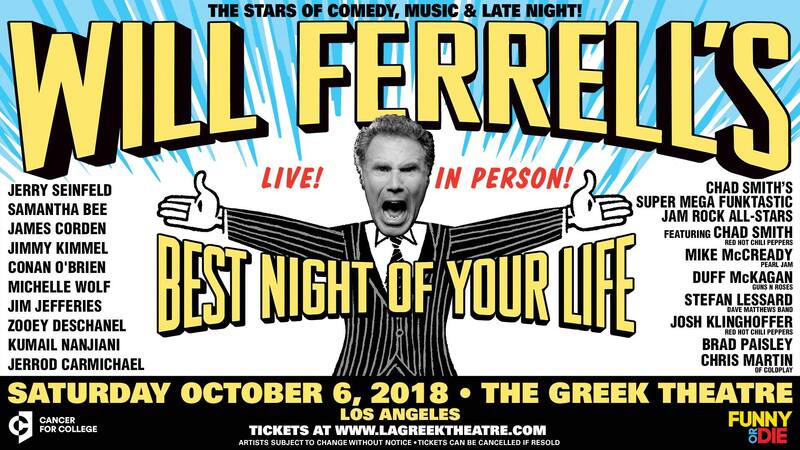 It’s Will Ferrell’s Best Night of Your Life on October 6 at the Greek Theatre in Los Angeles. The entertainment icon hosts some of the biggest names in comedy, music and late night with appearances from Jerry Seinfeld, Samantha Bee, James Corden, Jimmy Kimmel, Conan O’Brien, Jim Jefferies, Michelle Wolf, Zooey Deschanel, Kumail Nanjiani and Jerrod Carmichael among others. Chad Smith of Red Hot Chili Peppers has assembled an MVP musical line up that Ferrell has dubbed Chad Smith’s Super Mega Funktastic Jam Rock All Stars, featuring Mike McCready of Pearl Jam, Duff McKagan of Guns N’ Roses, Stefan Lessard of Dave Matthews Band, Josh Klinghoffer of Red Hot Chili Peppers, Brad Paisley and Coldplay’s Chris Martin. The show benefits Cancer for College which provides college scholarships to low-income, high-achieving cancer survivors. It’s really will be the best night of your life! 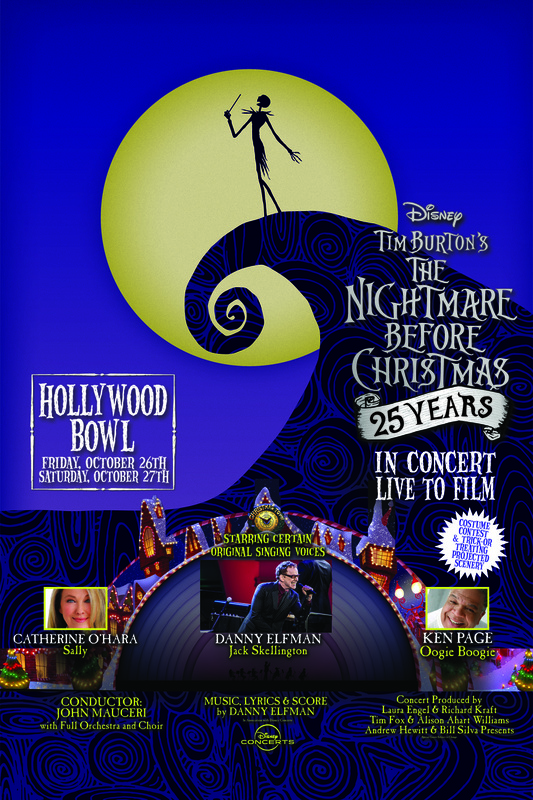 Tim Burton’s The Nightmare Before Christmas is celebrating its 25th anniversary with Danny Elfman singing live to film at a special two-night concert at the Hollywood Bowl. Elfman, who voiced and sang as the King of Halloween Town, Jack Skellington, in the Tim Burton-Henry Selick classic, will be joined by other original castmembers including Catherine O’Hara, who played Sally, and Ken Page, who performed Oogie Boogie, in what is being described as an immersive experience that includes live scenery projections, a live orchestra and guest artists. The concert will take place October 26 and 27 at 8 p.m. This is the third time Nightmare is getting the live concert treatment at the Bowl. It first played to a sold-out crown over the 2015 Halloween weekend and then returned for three nights in 2016 due to overwhelming demand. Tickets go on sale Saturday, Sept. 8, at 10 a.m. via all Ticketmaster outlets, with a special American Express presale starting Sept. 5 at 10 a.m. and ending Sept. 7 at 10 p.m. The concert is being produced by Laura Engel and Richard Kraft, Tim Fox and Alison Ahart Williams, as well as Live Nation/Andrew Hewitt and Bill Silva Presents, in association with Disney Concerts. 3 day passes and single passes are available.Hotel packages, premium seating, RV and tent camping available. In celebration of a 2015 summer/fall North American tour, Van Halen will perform a special concert for “Jimmy Kimmel Live on March 30, 2015 on Hollywood Boulevard. Featuring some of the band’s essential rock and roll classics, the concert will be broadcast over two nights, March 30 and March 31, on the late night talk show and marks Van Halen’s first U.S. television performance with original lead singer David Lee Roth. Jimmy Kimmel Live!airs weeknights at 11:35 p.m. / 10:35 p.m. Central time on ABC. 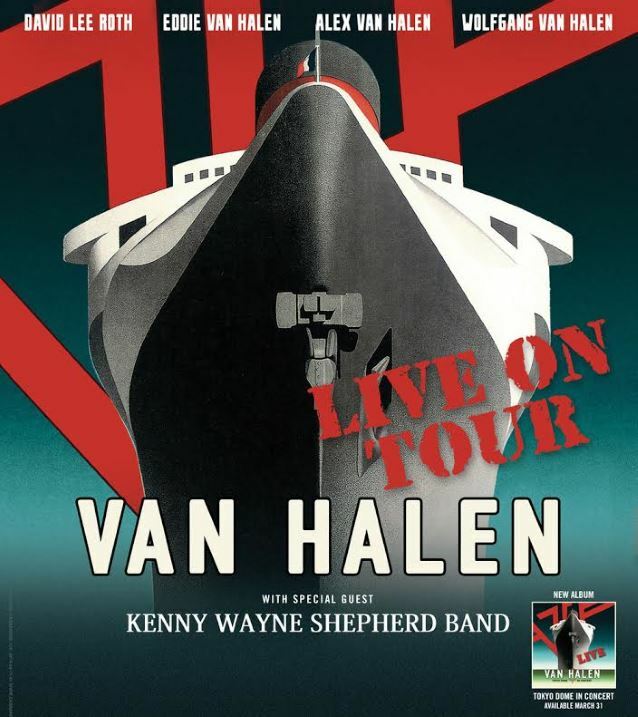 Van Halen is touring North America beginning July 5 in Seattle, Washington at the White River Amphitheatre, with concerts scheduled through October 2 in Los Angeles, California at the legendary Hollywood Bowl. Special guest Kenny Wayne Shepherd Band will support all dates along the tour. Tickets for the Live Nation-promoted tour go on sale beginning April 4 at Ticketmaster.com and LiveNation.com, with special pre-sale information being announced locally. A complete list of tour dates can be found below. The special Hollywood Boulevard concert will be a hit-heavy set of songs featured on “Tokyo Dome Live In Concert, the first-ever live album to feature original singer David Lee Roth. 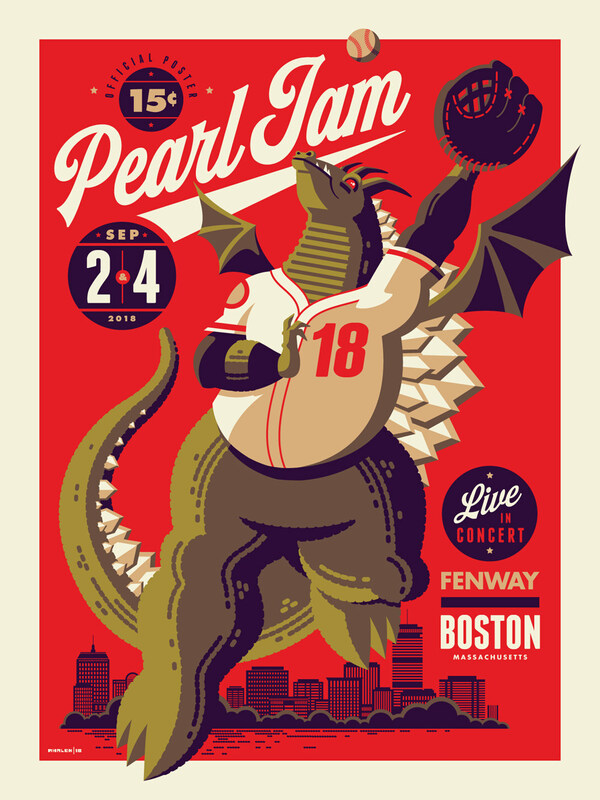 Recorded on June 21, 2013 in Tokyo, Japan, “Tokyo Dome Live In Concert” includes 23 songs spanning all seven of the band’s albums with Roth. It is being released as a double CD, four-LP set on 180-gram vinyl and digitally beginning March 31. Fans who pre-order “Tokyo Dome Live In Concert” before its March 31 release date through Amazon and digitally at iTunes will instantly receive downloads of “Panama”, “Runnin’ With The Devil”, “Jump” and “Hot For Teacher”. 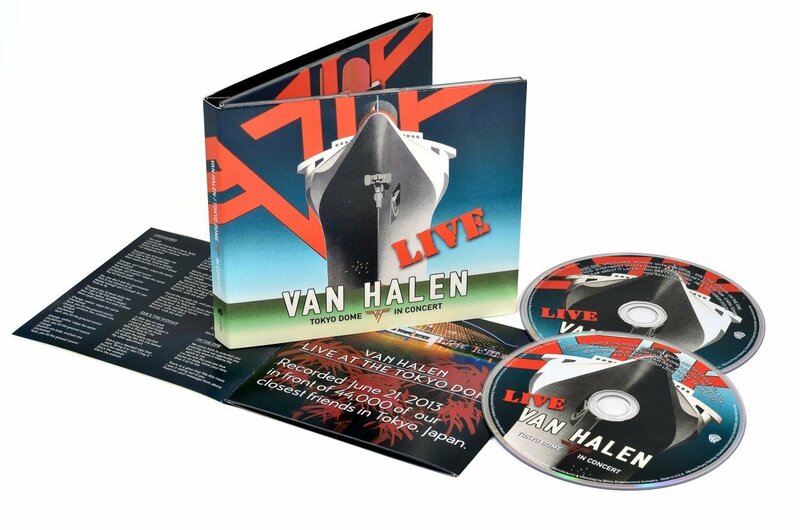 Also being released beginning March 31 are remastered versions of “Van Halen” and “1984”, with remastered versions of “Diver Down”, “Women And Children First”, “Van Halen II” and “Fair Warning” due out later this spring. Each album has been cut straight from the quarter-inch tapes for CD, 180-gram vinyl and for the digital version by mastering engineer Chris Bellman, who remastered the original albums for Bernie Grundman Studios, Hollywood, California. These albums are being released beginning March 31, with pre-orders available now through Amazon and iTunes now. 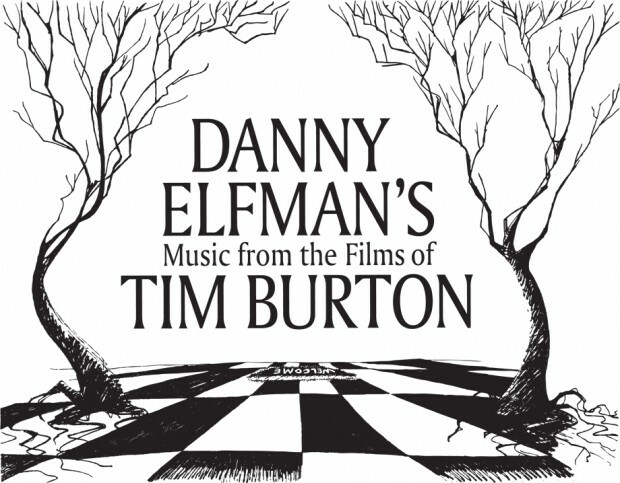 Danny Elfman has scored 15 movies by Tim Burton, starting with “Pee-Wee’s Big Adventure” in 1985 and leading up to last year’s “Dark Shadows” and “Frankenweenie.” For the first time in the U.S., Elfman is to present his scores for Burton’s films in an orchestral concert performance, scheduled appropriately enough for Halloween night at the Nokia Theatre in downtown Los Angeles. Danny Elfman’s Music from the Films of Tim Burton is scheduled for 8:15 p.m. on Oct. 31 at the Nokia Theatre at L.A. Live. 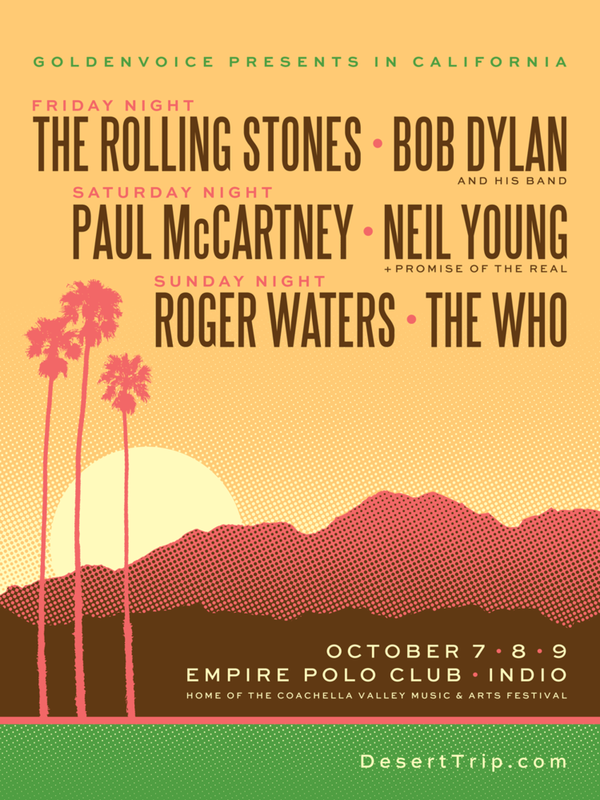 Tickets go on sale Sept. 13 at 10 a.m. through AXS.com and by phone at (888) 929-7849. 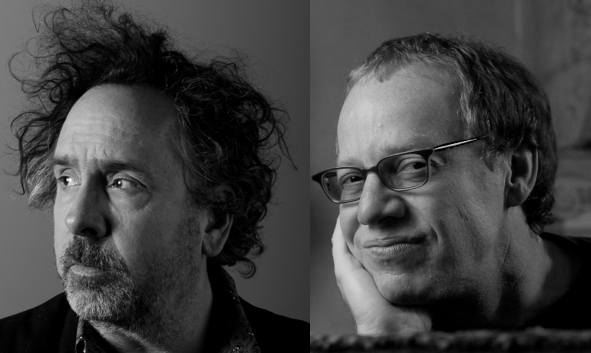 Danny Elfman has worked with Tim Burton for more than 25 years and on October 7th, Elfman will sing in public for the first time in 18 years, accompanied by the BBC Concert Orchestra, to perform some of the songs from Burton’s films. Original production artwork and drawings from the films will create a visual backdrop to the performance. “The Royal Albert Hall will host an exclusive World Premiere of Danny Elfman’s music from the films of Tim Burton. Conductor John Mauceri has collaborated with composer Danny Elfman and visionary Hollywood film maker Tim Burton to create a unique filmic experience, blending music and visuals to celebrate the long standing partnership of two of Hollywood’s top players. This live concert features Danny Elfman’s famous Tim Burton film scores brought to life on stage by the BBC Concert Orchestra, enhanced by visuals on the big screen of Burton’s original sketches, drawings and storyboards.